Congratulations, Game Of Thrones! You've once again taken the dubious honour of being the Internet's favourite TV show to pay the Iron Price for in 2014 - topping Torrent Freak's list of the most-pirated TV shows this year. 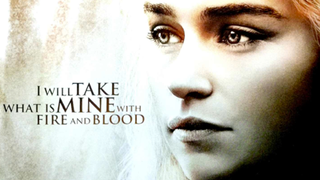 Game of Thrones and Piracy have long been bedfellows, having taken the Piracy crown for the last three of its four years on HBO according to data gathered by Torrent Freak - but this year saw the show not just do the unprecedented hat trick, but also break records for being the largest simultaneously shared file on Bittorrent ever, with a file containing Season 4's finalé The Children racking up 254,114 simultaneous shares shortly after the episode's US broadcast. The previous record holder was, of course, also Game of Thrones - when a copy of First Of His Name became the first ever file to break the barrier of 200,000 simultaneous shares of a single file on Bittorrent the day after it aired earlier this year. Piracy has long been seen as almost a benefit to Game of Thrones rather than a hindrance - despite sitting on the Iron Throne of Piracy for three consecutive years, the show's offical ratings have continued to climb and climb, even with many pirates lamenting the difficulty of access to the show as one of most popular reasons for pirating it. It'll be interesting to see if piracy continues to rise next year with HBO making HBO Go a standalone product without the need for Cable - and if Game of Thrones can retain its crown for the fourth year on the trot.